As you know, here at Platinum Trading Academy, we are proficient in trading all four of these areas: Forex;Commodities;Cryptocurrencies; and Indices. This week let me give you an amazing insight into the end of year trades which we are considering. As subscribers you get the trades we send out almost every week, yet do you take advantage of the trades?It can either be a solid yes, or a solid no.There is nothing in-between. I would like to briefly talk about a trader that joined us at Platinum, and his amazing journey before I move on to the end of year trades. Bear in mind these are all just set and forget orders, with no work to do at all. John knew nothing about Cryptocurrencies until he enrolled in the Platinum Crypto Course and within just 5 sessions he didn’t just start making money, he gained so much confidence that in the last 3 months he made over £100,000.00. The difference between John and other individuals I have come across, is the fire in his heart, his pure dedication and commitment to ensuring he trades with discipline. John had an interest in trading, and so subscribed to The Platinum Newsletters, he then went on to have a consultation, and is now one of The Platinum Elite Traders. JOIN US TODAY ON A LIVE CRYPTO FX SESSION FOR FREE. Today, John has achieved what many traders struggle for years to achieve: Consistency in the market through simplicity. At Platinum, we believe that complexity is the problem, and simplicity is the solution. With simplicity comes profitability in the Financial markets. In this blog, we’ll discuss the Dow and Bitcoin. For our spectacular euro and gold charts please read on. 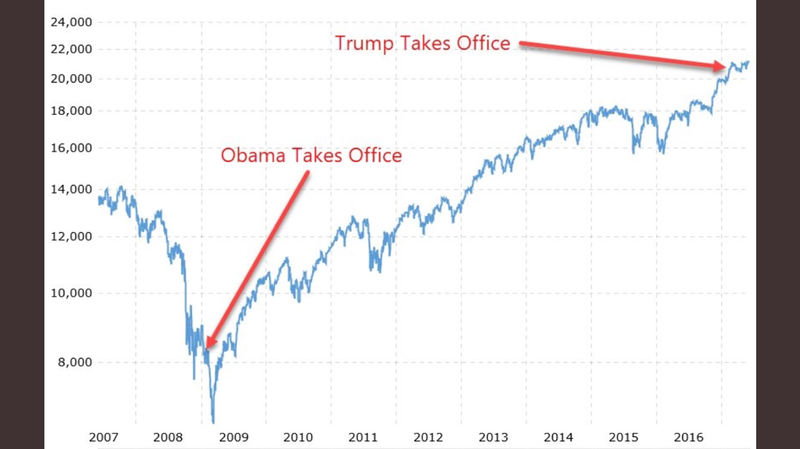 The Dow Jones has hit an all-time high, and breaks the psychological resistance at 24,000.The Dow Jones 100-year chart that has been studied by The Platinum Analytical Team over the weekend suggests yet another massive push is very likely in the next 42 days. As a rule of thumb, most participants are trying to short the market, or bet that the market will fall. STOP trying to short this market. 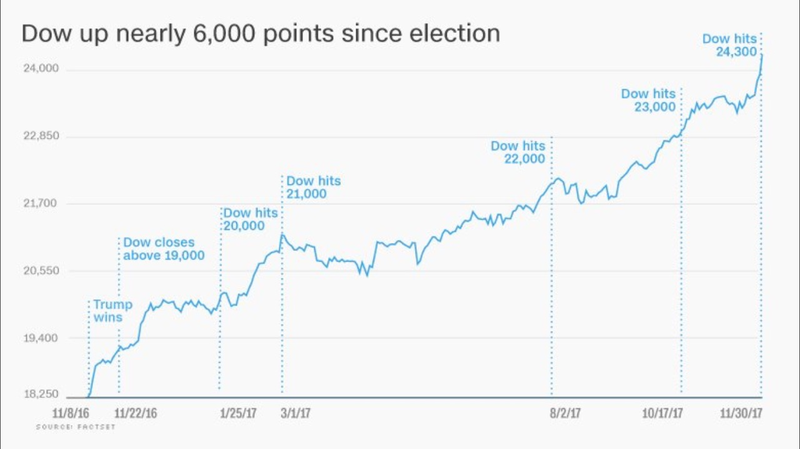 Just because the markets fell +350 points on sloppy reporting of the Flynn plea does not turn this into a bear market. The last 9 months have been turned around and the markets are on a clear BULL RUN. The team agrees that we must be cautious and patient, believe us when we say this market will almost definitely crash, and we have to be ready, both financially, and mentally.One of our core reasons for coming to this conclusion, is that the Margin Debt is now $561 billion, double the amount of the tech bubble of the year 2000, and 47% greater than the Margin Debt in the year 2007. Learn how to trade crypto and how you could trade the Big Short from one of our esteemed Platinum Analysts. Do not build multiple positions, either bull, or bear. Once your first trade fails, do not revenge trade. Do not trade the Dow Jones if you under capitalised. 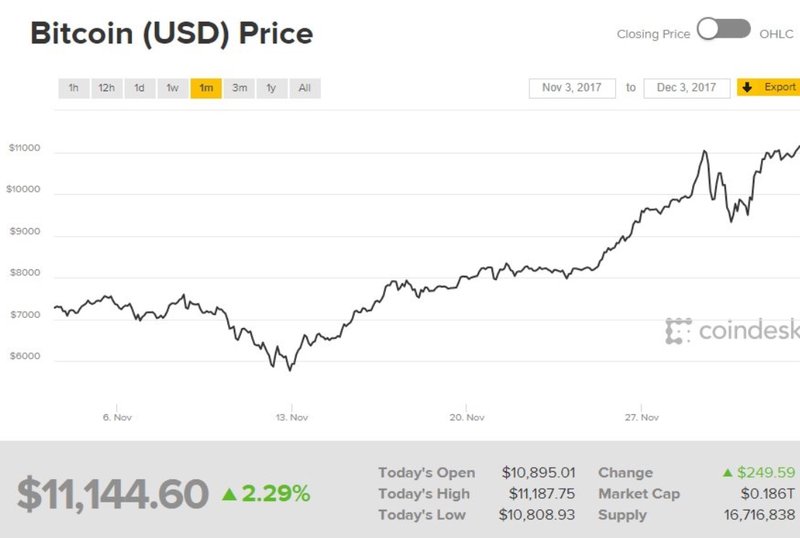 Crypto Currencies: Bitcoin Breaks $11,000! Crypto Currencies are not only one of the fastest growing markets in the world, but also the most lucrative with opportunities to make over 100% returns each day. Most people have heard of both Bitcoin and Ethereum, and have heard of the huge returns that can be made, but savvy investors and traders know that there is significantly more opportunity in Alt-coins. Alt-coins are the alternative Cryptocurrencies launched after Bitcoin, but like the definitions of all disruptive new technologies, the Alt-coin definition is subject to debate. Alt-coins project themselves as better substitutes to Bitcoin, and many try to target any perceived limitation that Bitcoin has by trying to come up with competitive advantages. There are a huge variety and number of Alt-coins — 1,300+ as of writing this article. Bitcoin still heads the virtual currency pack. Newer alternatives offer modifications in areas such as transaction speed, privacy, proof-of-stake, and DNS resolution. As you can see from the chart below, there is huge opportunity to make substantial returns from this market, and Platinum would like to show you exactly how to benefit from both Bull and Bear markets. If you are a new trader and would like to learn how to trade, then sign up today to our 2-day free Foundation to Forex Trading Course. Every month we receive a lot of inquiries on learning how to trade the financial markets. This is our way of answering those calls. You’ll get time to speak to a professional Forex Trader, who can show you just how easy it can be to trade the Financial Markets. Sign up today and we can get you on the path to becoming a successful Financial Trader. Hopefully, you have enjoyed today’s article and have gained some great knowledge about how to trade.